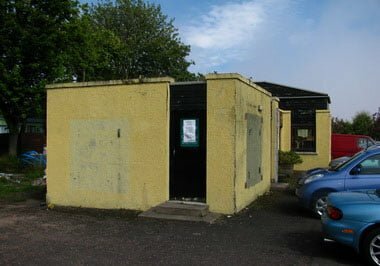 Today at Tayport Links Caravan Park, we have finally started to knock down our old and now somewhat derelict office building in preparation for next season. On the 1st March when we open for 2012 we will have 3 new caravans for sale on newly landscaped pitches rather than a shabby half falling down, yellowing building…. Nice one!